As if this Traffic Exchange couldn’t have enough unique features, Traffic Swirl has done it again with it’s new Rapid Win game! 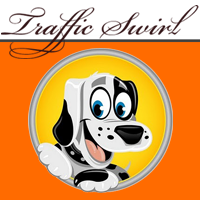 Traffic Swirl’s Rapid Win game consists of a Grid with 100 spots. You get to pick a spot (or 5 if you are upgraded). Every 10 Minutes a spot is picked by random, if you own that spot then you win either the Cash or Credit Jackpot! After a winner is selected all the boxes are cleared and the game starts again. If no one owns the winning box then everyone gets to keep their spots and the Jackpots all increase for the next game. Usually at Traffic Swirl you have to be upgraded to win cash prizes, but with our Rapid Win game, even free members can win Cash!